-> Provides support to surgical areas for more comfort and helps the skin fit better to its new contours. -> Helps to improve blood circulation, minimize swelling after the procedure, and flush the potentially harmful fluids out of the body. 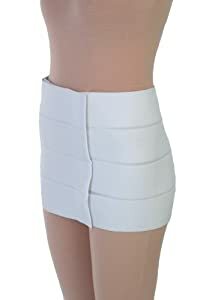 -> Liposuction Surgery Recovery Abdominal Binder is suitable for Abdominoplasty, Tummy Tuck, Mommy Makeover, Liposuction of the Abdomen, Flanks, Hips and Midriff. 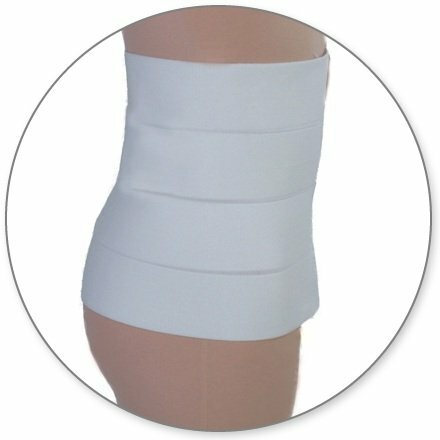 -> This garment features a 100% latex-free fabric that offers enhanced support and more durable compression performance. -> Put on immediately after your procedure and wear for several weeks for optimum results.